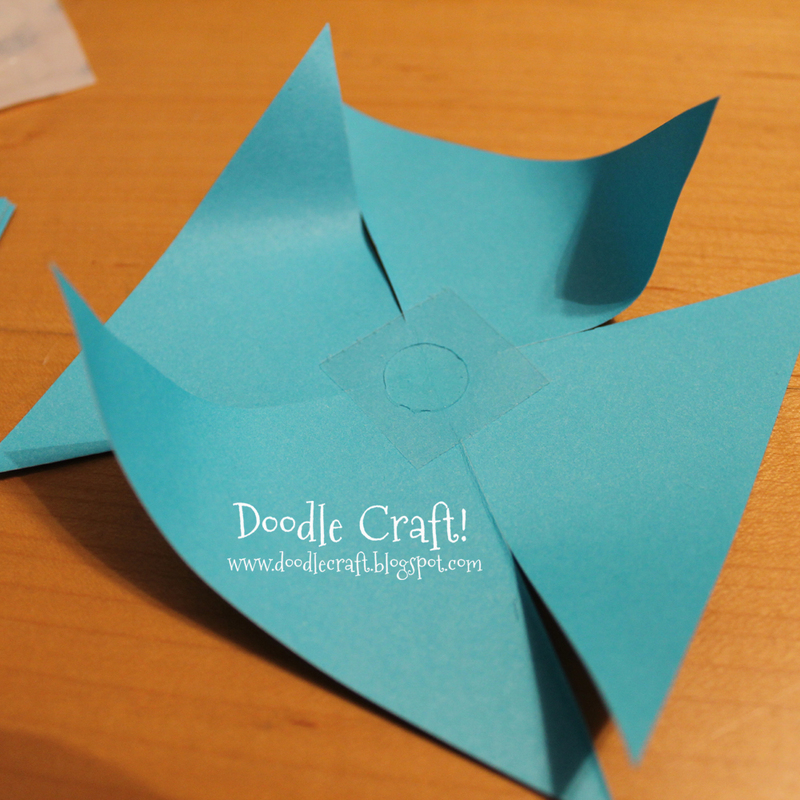 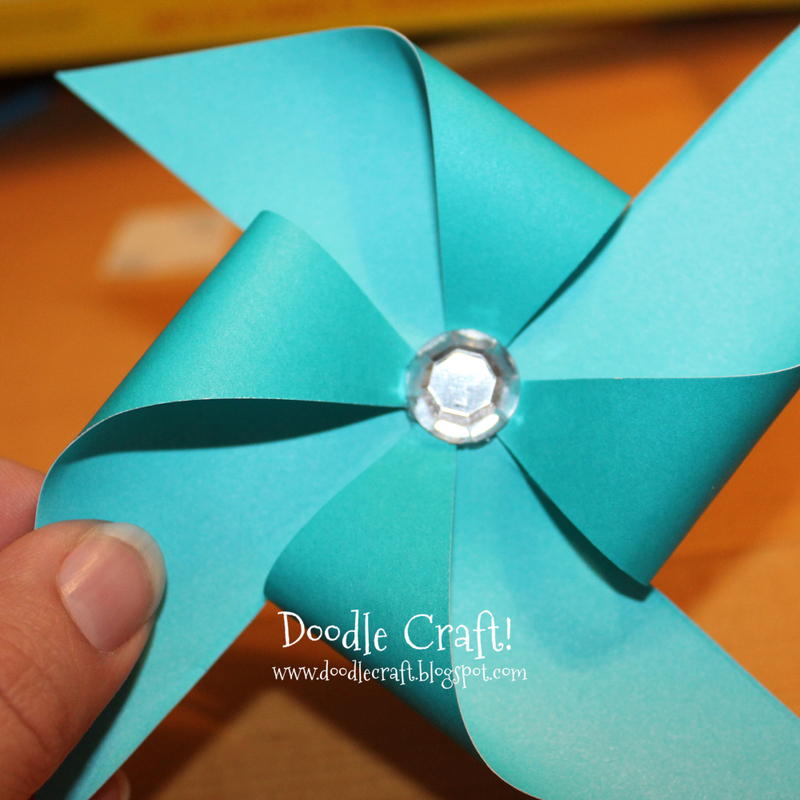 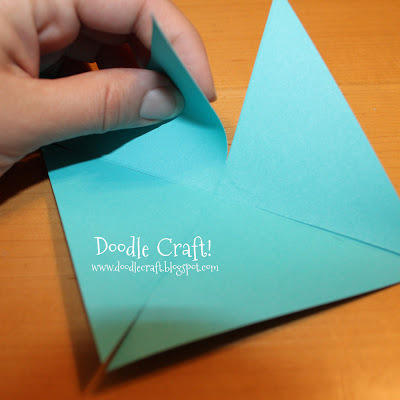 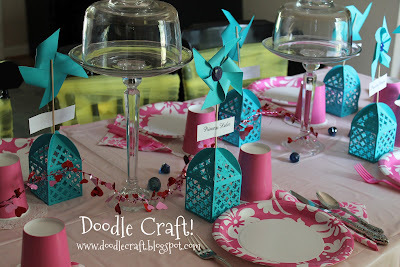 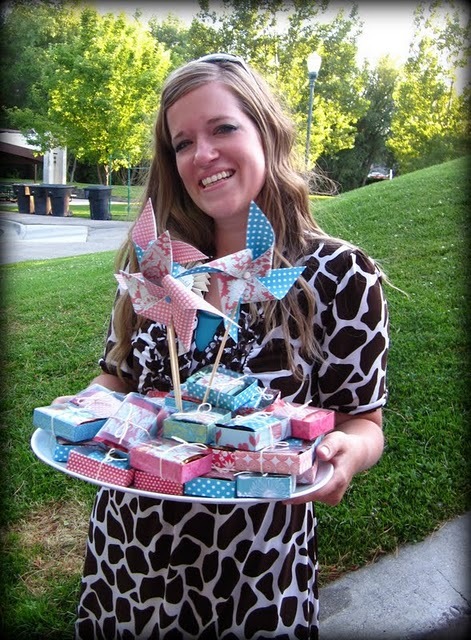 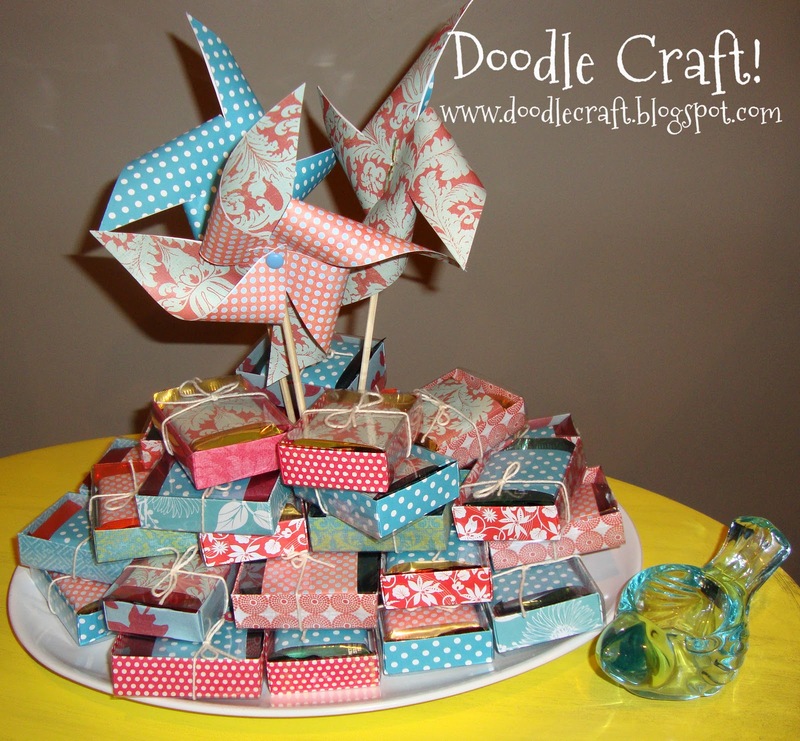 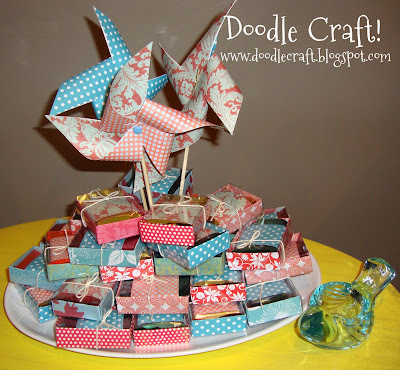 Paper Pinwheels are easy to make! This one is directions for a faux pinwheel...it will not actually spin. 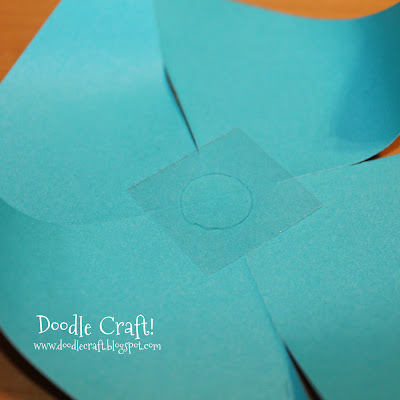 Put on another glue dot and embellish the center with a gem or button! 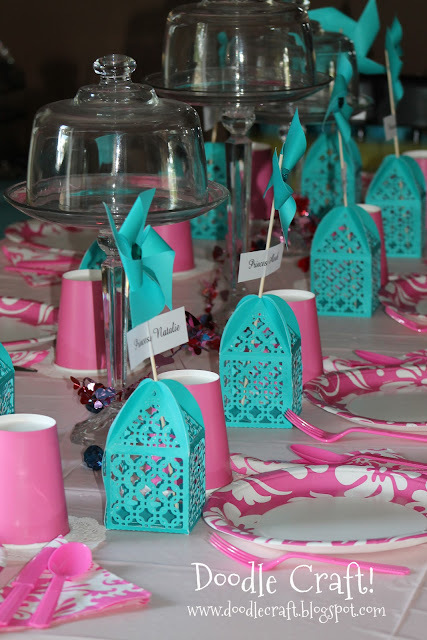 This is what we used for place tags at our Princess Party last May! 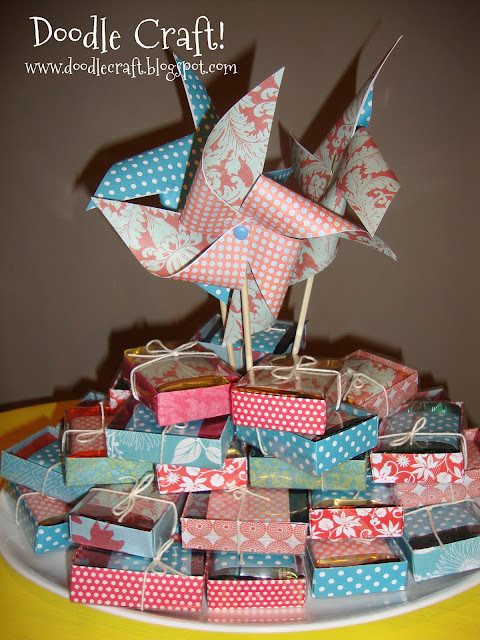 And these ones I did in July 2011! 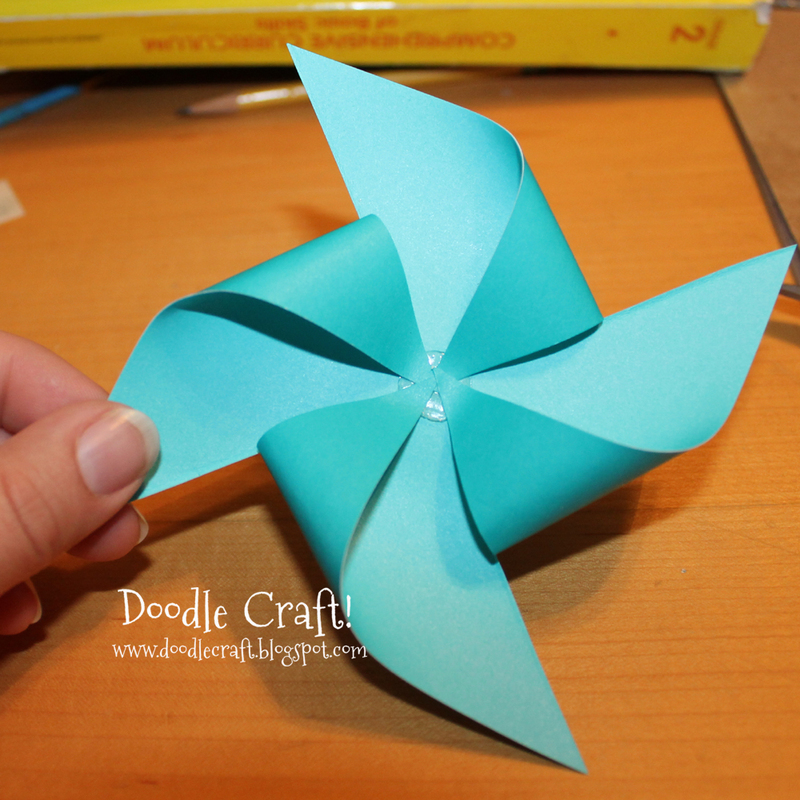 Easy...I used a brad for the center on these ones...they still didn't spin. If you want them to spin...come back tomorrow for the spinning tutorial! Double sided paper is the cutest!